Food Service size of award winning garbanzos. Cooked to perfection to satisfy the most demanding consumer. 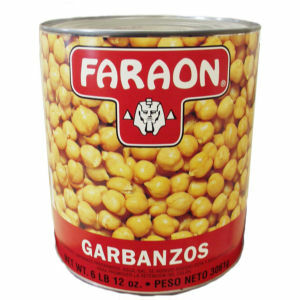 Faraon Garbanzos are great for salads, soups and main meals. This is the perfect size for restaurants, large parties and families. Enjoy!